that I received in London last month. I think that brown, beige and pink are perfectly matching colors, one of my favorite antique fabrics blends. Nice white and blue calicot and nice hand quilting. 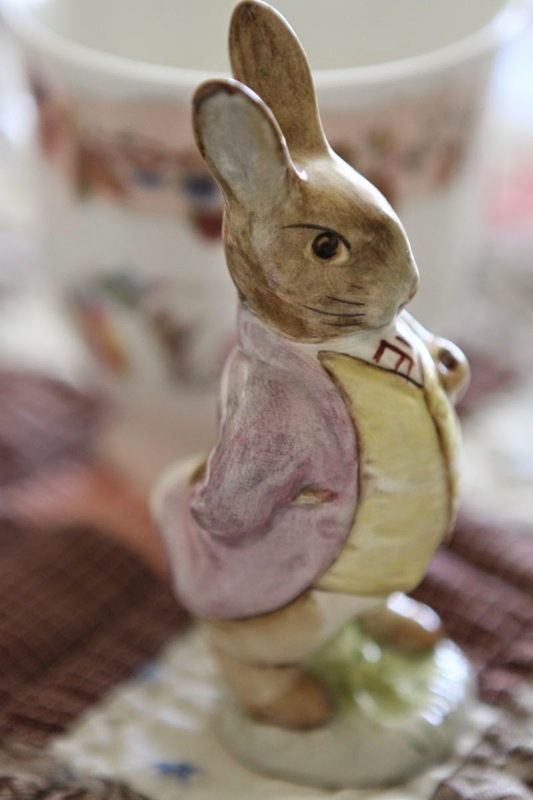 I am a great fan of Beatrix Potter art, and those little books are remains from my childhood. 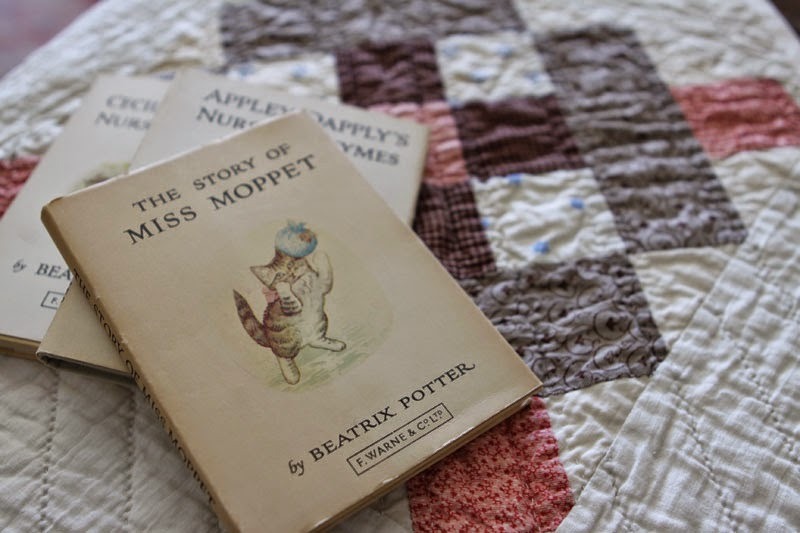 For those who may be interested in Beatrix Potter art and life, I recommend this excellent film : Miss Potter, with Renee Zellweger in the role of Beatrix Potter. I was so delighted when I first saw this film, that I watched it again and again... This is one of my best films ever! 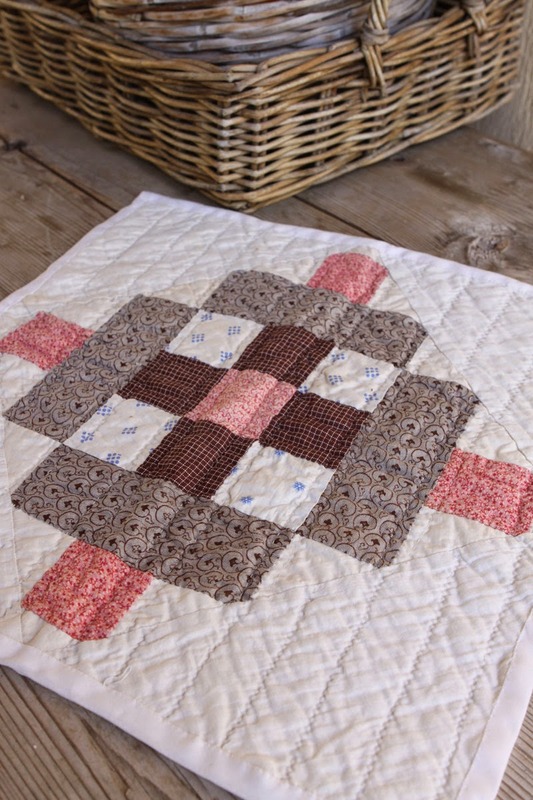 The little quilt is so adorable! Lucky you! Such a lovely post. Thank you for sharing. I adore this little blanket; the simplicity of the pattern and fabric both. 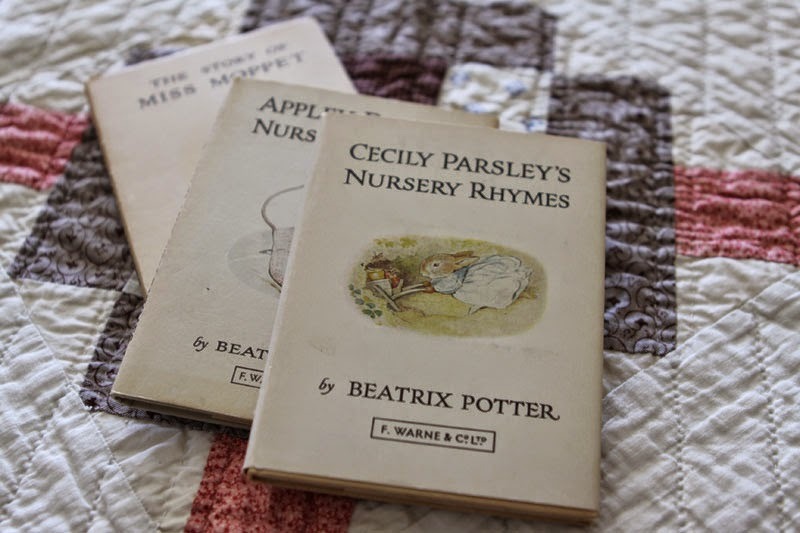 And Beatrix Potter books...what a treasure. I covet! I love her art and the stories. I just found you and am a new follower. Comme j'aime ces petits doll quilts ! Il est ravissant , délicieux mélange de couleur ! Merci Christine de nous montrer vos trésors ! beautiful , just love pink and brown together. 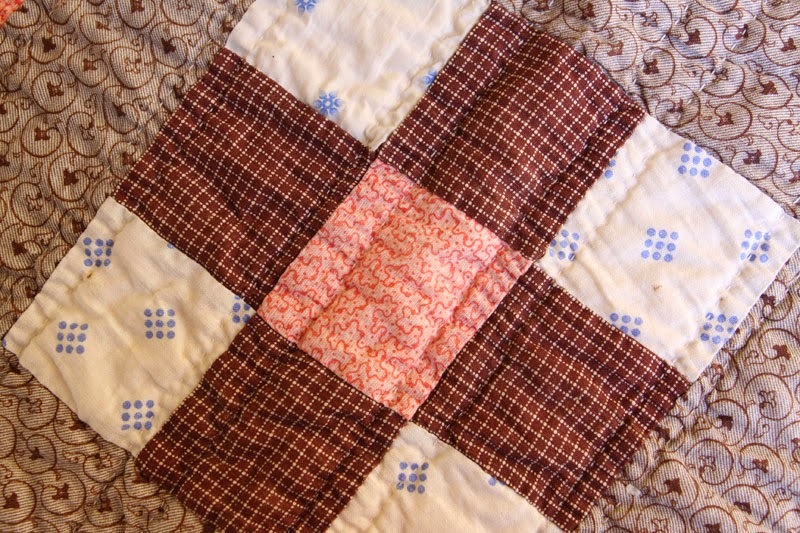 another wonderful antique quilt you added to your collection. hoping you add lots more over the years! another stunning doll quilt. Great pictures too. you are talented with your photography. This is an adorable doll quilt. I have a wonderful book about Beatrix Potter's life. I have made that quilt and the film is so sweet! 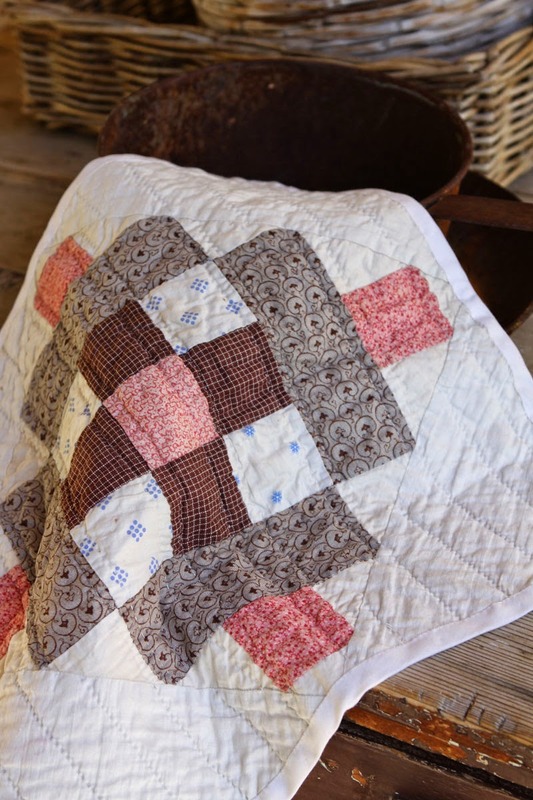 Beautiful treasures and a lovely mini quilt!